Help discover the fascinating story of World War One’s final dramatic Zeppelin Raid, right over Burgess Park! 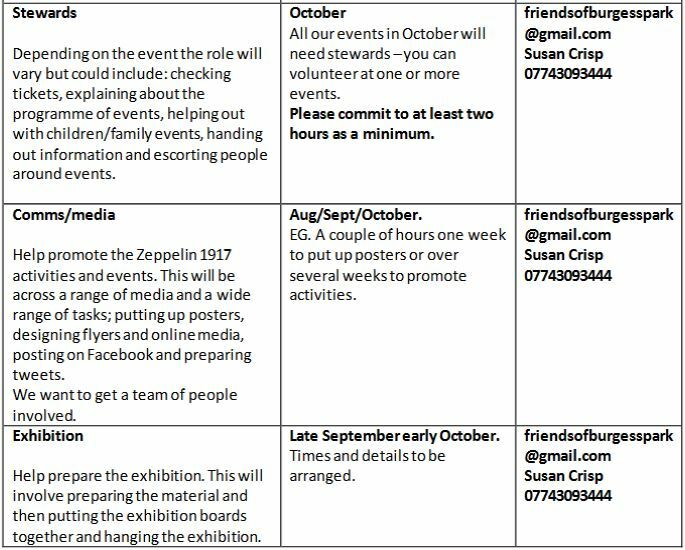 Zeppelin 1917 is an exciting October season of walks, talks and shows, remembering the catastrophic Zeppelin raid of 100 years ago. Local volunteers are already working to piece together the rich tapestry of our shared local history. But there are many other volunteering opportunities. To volunteer, email or phone the contact listed, or leave a comment below.